Know a couple who are from opposite ends of the spectrum? 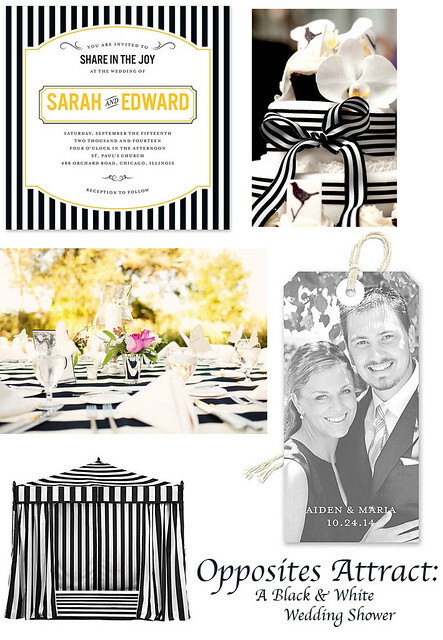 Celebrate their differences and the way they complement one another with an Opposites Attract wedding shower theme. Decorate with black and white stripes (oh-so-stylish for spring!) and consider serving desserts like black and white cookies and chocolate covered pretzels (the perfect of example of complementary opposites-- sweet & salty).